All Pests Are Active. Most Calls Received. Pest Control: Alpine Pest Management is quickly becoming Wenatchee valley's best choice for residential and commercial pest control services. 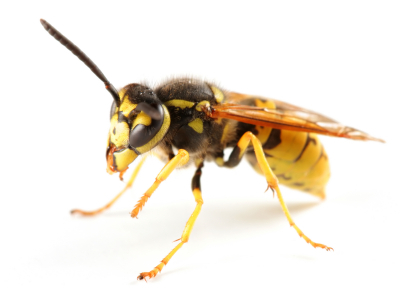 We specialize in integrated pest management methods and offer Wenatchee valley and surrounding area residents effective and environmentally sensitive approaches to pest control by utilizing common-sense practices with the least possible hazard to people, property and environment. 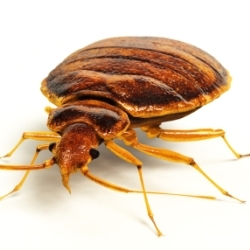 Bed Bugs: In Wenatchee valley bed bugs may enter your home undetected through luggage, clothing, used furniture, and other items. Their flattened bodies make it possible for them to fit into tiny spaces, about the width of a credit card. Their initial hiding places are typically in bedrooms where they have easy access to people to feed on in the night. In time, they may scatter through the home, moving into any crevice or protected location. Read: preparing for bed bug treament. 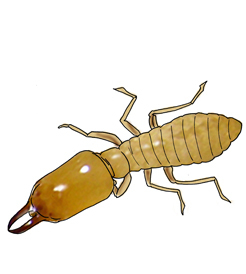 Termites: Subterranean termites are by far the most destructive species. They can extensively damage homes, meaning possible financial ruin for Wenatchee valley homeowners. The hard, saw-toothed jaws of termites work like shears and are able to bite off extremely small fragments of wood, one piece at a time. 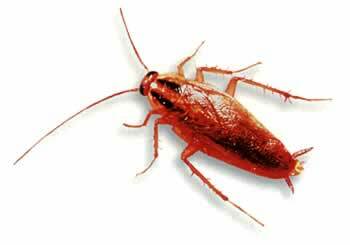 Roaches: German cockroaches are widespread and can be found in homes, restaurants, hospitals, nursing homes or apartments. Within these areas, the cockroaches prefer sites close to moisture and food, making them common pests in kitchens, bathrooms and food-storage areas. Spiders: Black Widow spider venom is reported to be 15 times stronger then that of the rattlesnake. The hobo spider bite is not considered to be fatal, however the spider’s venom is strong enough to cause local pain and also to cause tissue death at and near the bite. Hobo spider bites are often mistaken for the brown recluse spider bite. 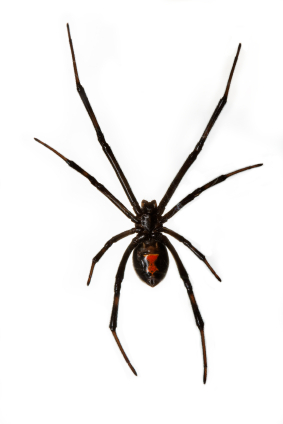 Both the black widow and hobo spider are common pests in the Wenatchee valley. Rodents: Here in Wenatchee valley rodent control is vital in keeping you home or business free of pests and the diseases they carry. To keep mice and other rodents out, make sure all holes of larger diameter than a pencil are sealed. Mice can squeeze through spaces as small as a quarter inch and rats a half inch. 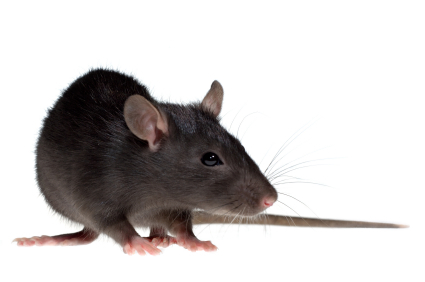 For proper rodent pest control, seal any cracks and voids. Don't overlook proper drainage at the foundation and always install gutters which will channel water away from the building. Ants: Odorous house ants are among the most prevalent ant species in Wenatchee valley households. Ants also invade restaurants, hospitals, offices, warehouses, and other buildings where they can find food and water. All services performed by a licensed and insured pest control professional and guaranteed! Wenatchee, East Wenatchee, Orondo, Quincy, Cashmere, Dryden, Peshastin, Leavenworth WA, Plain and Lake Wenatchee areas.